In this gadget world, everyone uses social media accounts for various reasons. Every technology has both positive and negative impacts it is actually based on how you use it. When you utilize social media platform properly, it will help you gain many benefits. At present, there are huge social media platforms are available but Instagram is now trending among the people. Almost everybody uses Instagram now, as it is one of the highly popular online social media services. This also lets you take videos, photos, and share them on the social networking websites such as Facebook and Twitter. Are you running a business? It does not matter whether it is small, medium or big. Do you wish to stay competitive in the industry and grow your business online? Do you have any idea of using instagram for your business purpose? If yes, then it is a better idea ever because this online platform helps your business grow faster. 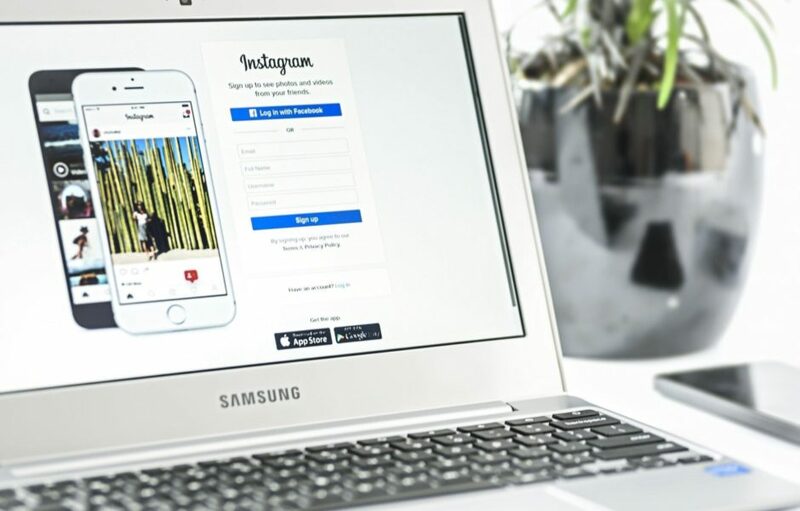 Instagram is one of the social media and marketing tools, which can assist in the marketing of your business and efficiently reach the potential audience. With this, you can easily invite buyer at your shop and make them regular customer through your efficient service. Not only this, you can able to upload the latest image of your new service or product from anywhere through mobile. You can even share information regarding your business products in captions such as location, sale, details, etc, which you wish to let your customers know. Furthermore, you will take pictures of yourself as well as your employees when working and allow people know how much you really value your employees. Additionally, you may provide discount and special offers on your service or product. Currently, instagram is one of the major tools used for promoting business regardless of its size while being creative at the same time. It comes along with several features and tools, which help you to expand your business further in the digital age. Thus, instagram will become highly important for any business. You will get to know top eight new features, which will assist you to take your business to next level from here. With the recent Instagram update, you can now simply follow hashtags. Are you thinking how hashtags help your business? This feature lets you stay engaged with the community, which follows the similar interests like you. Do you have own hashtag? If yes, then you can follow it and remain on the top of your community conversation, and connect with the potential audience. In case, if you do not have own hashtag yet, then immediately create and have it. In this competitive world, it is highly crucial, as everyone requires a little love. To get started with your own hashtag, you have to find the hashtag you like on the hashtag page and then press the follow button. Bonus tip: You must often check your brand’s hashtag and look after your community so that it will grow strong and big. Even though this instagram feature has been evolving around for quite some time, you have not heard of the Instagram carousel post but get ready to mind blown with this new attractive feature. Whether you are launching a beauty business or simply a new party saree collection, carousel style post has the ability to share multitude products videos and photos in the single post. This is really amazing and quickly drives audience attention and interests. This eventually increases the sales and brings your business to next level. Follow the below mentioned steps to add carousel post to your instagram feed. Bonus tip: You can use the mixture of photos and videos to maximize the time audience spend on your post. This effectively enhances the engagement times with your post. One of the best ways to keep your every business post appealing as well as attention grasping is by using the colors you want. Ensure your brand appearance is carried out throughout all of your marketing efforts via customized color. Do you want to make your instagram story colorful? Well, you should follow below mentioned steps. To grow your business quickly using Instagram, you can access the interactive poll sticker available in the Instagram stories, which allows you ask some questions and see results from your Instagram followers when they vote. To do so, all you need to do is simply follow the steps mentioned here. Now, instagram fee comes along with the great responsibility and amazing power to add landscape or portrait images and videos. Additionally, users are not restricted to access square images and therefore you can choose the best picture size for your brand and products. This new style is one of the excellent ways to stand out and easily identified among the crowd. Do you want to switch to full-size images? Simply click the format button, which is placed above the camera roll when you upload an image or video. Bonus tip: Try the full-size images and see which style works better for your audience. Ensure you have to choose the right style, which keeps an eye on the audience engagement of every post so that you can able to compare the success of each post. Do you have a story, which needs only text? Well, this is one of the best ways to stay engaged on brand with your colors and logos. Additionally, you have to create the solid background color for your story. In Instagram, simply press the pen icon in the upper right corner of the screen to choose the background color. Next, you have to click and hold the screen up to 3 seconds until the screen is completely filled with the chosen solid color. This will give appealing look to your story background and easily attract customer attention. Gone are the days when your instagram stories have been disappeared after 24 hours of posting. At present, you have the access to save the instagram stories permanently on your profile. If you want to use this feature, then go through the steps mentioned here. Why are you doing all these hard work? It is because to stay in the top position of your community. You have to check your instagram stories performance often because it is vital to get the top position of your stats. To check the instagram story performance, make use of these steps. Now, instagram will display the number and names of the people who have seen every images and video in your story. Apart from these, many features are available on Instagram. When you see these features from the business point of view, these features will probably help you get more engaged with the potential audience. Aforementioned new instagram features will assist you to expand your business more in the digital market and help your business get more organic reach when it is perfectly used. It is the time to switch to the instagram business profile, which has the ability to schedule single image posts to Instagram without the access of push notification. Reach more audience using the hashtag stickers and location.Grow instagram account with the instagram live and optimize your content strategy with the instagram analytics .